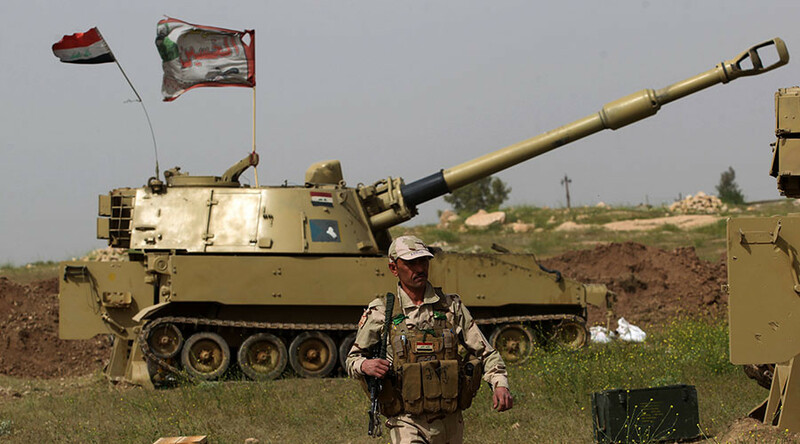 Iraq's military have launched an operation to liberate the city of Tal Afar, some 80 kilometers west of Mosul, from Islamic State terrorists, the country’s prime minister has announced. “You either surrender, or die,” PM Haider al-Abadi said in a televised address, as cited by Reuters. “As we announce the start of operations to liberate Tal Afar we salute the heroic Iraqi forces who fight to bring victory, freedom and peace,” Abadi added on Twitter. About 2,000 battle-hardened militants remain in the city, according to US and Iraqi military commanders, AAP reported. Fearing the ground offensive, many of the city’s residents have begun to flee the area. Some 50,000 people have fled the areas surrounding Tal Afar since April, Al Jazeera reports, adding that at least 50,000 more may try to escape the city in the near future. The city of Tal Afar in the Nineveh Governorate lies just 80 km west of Mosul, which the Iraqi army and the US-anti IS coalition liberated in July following eight months of battle. The city also sits some 150km east of the Syrian border and serves as the major supply route of Islamic State. Iraqi government forces were deployed in four areas at the start of the ground offensive, according to Al Arabiya sources on the ground. They also allegedly cut all escape routes in and out of Tal Afar. The military then began an intense shelling of ISIS positions. According to reports, in addition to Iraqi government troops and Shiite militia, Kurdish Peshmerga fighters are also taking part in the battle in the north. The Iraqi air force intensified its air strikes on terrorists in Tal Afar prior to the ground operation, Sky News Arabia reported citing a military source on the ground. The continuous air strikes are aimed at destroying the defense positions of the terrorist organization and its military capabilities. The air raids coincided with the continued arrival of military reinforcements, including heavy artillery on the border of Tal Afar. Just before Abadi's made the announcement, the US Special Presidential Envoy to the global coalition to defeat ISIS tweeted that he had a meeting with the Iraqi prime minister. "In Baghdad tonight to consult with PM Abadi and other Iraqi leaders on upcoming efforts to destroy ISIS in its last few pockets in Iraq," wrote McGurk. The US-led Coalition reportedly begun targeting IS positions in the city roughly a month after securing victory in Mosul. According to information obtained by the Sputnik news agency, the US military is currently stationed in the vicinity of the city of Tal Afar. “In preparation for the operation for the liberation of Tal Afar, the US is creating a military base near the city. The US military will take part in this operation and they will work together with the Iraqi army,” Aydin Maruf, a representative of the Turkmen Popular Front in Iraq and MP the Regional Administration of Iraqi Kurdistan told Sputnik Turkey. It recalled the fate of Mosul's civilians, who were trapped between ISIS and Iraqi forces, when thousands fled the city prior to a full on engagement. Over the course of the nine-month operation to liberate Mosul, nearly one million people were displaced, while thousands died as a result of IS atrocities, as well as a joint Iraqi offensive and US-led coalition bombing campaign. While an official death toll is yet to be presented to the public, the Independent earlier reported that around 40,000 civilians might have perished in the battle for Mosul. In addition, the Iraqi prime minister also admitted earlier this week that Iraqi special forces units abused civilians during the offensive to retake Islamist-held Mosul.